In spite of an amendment to the constitution, early general elections planned next October, and numerous social and economic reforms, the Moroccan monarchy may not survive the Arab Spring, activists say. The new constitution, approved by public referendum on Jul. 1, decreased the powers of the king in both the legislative and executive fields. Now, a president of the government will be appointed from the largest party elected to parliament in the upcoming election. Legislation has become the exclusive responsibility of the parliament, and the president of the government has the power to appoint and dismiss all senior officials, with the exception of those in the military – which remain the responsibility of the king. The effects of the Arab Spring have been relatively moderate in Morocco, compared with its neighbours. For the most part, the people have been demanding a parliamentary monarchy where the king dominates, but does not govern. However, some activists in Morocco are still pushing for further reform. “Our revolution continues. The people will decide about the fate of the regime,” Hamza Mahfoud, one of the leaders of the 20th February Movement, told IPS. The movement, led by independent activists, still protests every Sunday against the new constitution – demanding no less than a full parliamentary monarchy. “The new constitution is only a (trick) to bypass the demands of democracy, freedom and dignity, formulated by the people,” Mahfoud said. The new constitution was drafted by a committee of 19 experts – all named by the king – two weeks after demonstrations on Feb. 20, where more than 50,000 persons according to official sources, and hundreds of thousands according to organisers, demanded a new constitution based on a parliamentary monarchy. Organising demonstrations without prior official authorisation is a crime carrying a prison sentence of up to five years under Moroccan penal law. But, instead of calling out the police, the government directed cameras of public TV channels at the demonstrators and broadcast reports on their demands. That was seen as a sign of a different approach, a willingness to compromise, and many spoke, then, about a “Moroccan exception”. The tolerance that the Moroccan regime showed toward demonstrators on Feb. 20 did not continue for long. The police intervened violently on Mar. 13, leaving hundreds of wounded demonstrators. Two other rounds of violence occurred on May 22 and May 29 – one person was killed, and hundreds of fractures, cranial and thoracic traumas’ cases were reported. “There were some limited cases where demonstrators (called for) overthrowing the regime in reaction to the violence committed by the police,” Soulaiman Raissouni, a journalist who has been covering demonstrations for the ‘Al Massae’ daily newspaper, told IPS. This ‘flexibility’ is not random, Lagrini said. “Protests in Morocco have always been a daily rite.” Reforms are not a new matter in Morocco. “The country has opted for political pluralism since the 60s, and began legal and political reforms in the 90s,” Lagrini said. 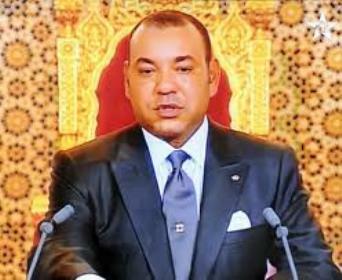 According to the new Moroccan constitution, the king has the power to dissolve the parliament and to dismiss ministers after having informed the president of the government – but he has no means to dismiss the president of the government. On Jun. 17, King Mohamed VI announced the new constitution, and stressed that the document was not an end in itself. Then on Jul. 30 he declared that the spirit of the new constitution has to echo the everyday life of citizens by insuring freedom, good governance, and human dignity for all Moroccans. However, the speeches of the king do not seem to convince everybody. “I was mercilessly clubbed on Mar. 13, only five days after the speech of the king where he spoke about widening public freedoms. Nothing is widened except bats on our heads,” Mahfoud said. The views expressed in this analysis are the author’s own and do not necessarily reflect the views of Morocco World News.